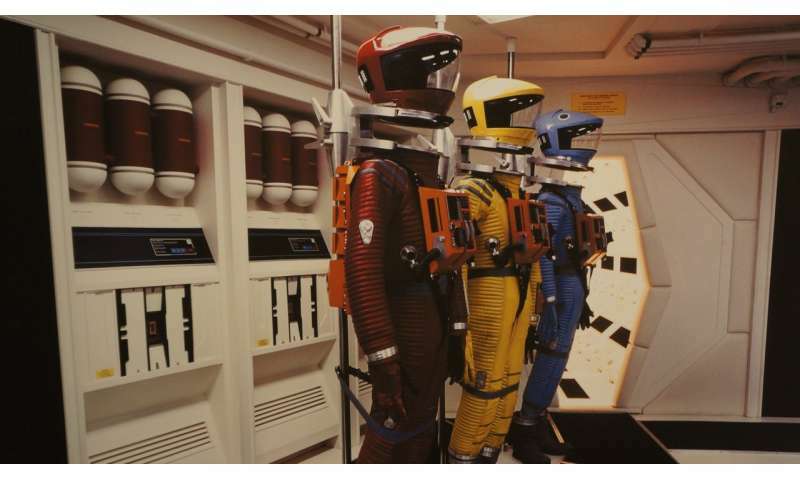 The movie was made through a collaboration with science fiction writer Arthur C. Clarke and film director Stanley Kubrick, inspired by Clarke's novel "Childhood's End" and his lesser-known short story "The Sentinel." A striking work of speculative fiction, it depicts – in terms sometimes hopeful and other times cautionary – a future of alien contact, interplanetary travel, conscious machines and even the next great evolutionary leap of humankind. A chief drama of the movie can in many ways be viewed as a battle to the death between human and computer. The artificial intelligence of "2001" is embodied in HAL, the omniscient computational presence, the brain of the Discovery One spaceship – and perhaps the film's most famous character. HAL marks the pinnacle of computational achievement: a self-aware, seemingly infallible device and a ubiquitous presence in the ship, always listening, always watching. First and foremost is the question of how much control people should cede to artificially intelligent machines, regardless of how "smart" the systems might be. HAL's control of Discovery is like a deep-space version of the networked home of the future or the driverless car. Citizens, policymakers, experts and researchers are all still exploring the degree to which automation could – or should – take humans out of the loop. Some of the considerations involve relatively simple questions about the reliability of machines, but other issues are more subtle. But what happens when a moral or ethical dilemma arises en route to the goal? For the self-aware HAL, completing the mission – and staying alive – wins out when measured against the lives of the crew. What about a driverless car? Is the mission of a self-driving car, for instance, to get a passenger from one place to another as quickly as possible – or to avoid killing pedestrians? When someone steps in front of an autonomous vehicle, those goals conflict. That might feel like an obvious "choice" to program away, but what if the car needs to "choose" between two different scenarios, each of which would cause a human death? The characters' relationships in the movie made me think a lot about how people and machines might coexist, or even evolve together. Through much of the movie, even the humans talk to each other blandly, without much tone or emotion – as they might talk to a machine, or as a machine might talk to them. HAL's famous death scene – in which Dave methodically disconnects its logic links – made me wonder whether intelligent machines will ever be afforded something equivalent to human rights. It can be said, among other things, in terms of conventional "science", the black monolith demonstrated the ability to discern the presence of creatures that displayed nascent intelligence and to influence their thinking. But, then, as the indicator of initiating the next step, it needs what can be called a simple signal of being dug up on the moon and being exposed to sunlight. Being so powerful, couldn't it have found a way to remain on earth and monitor what was happening? If the aliens behind the monolith were willing to change the creatures' natures, why not do it every step of the way? The reference is made to the "next step in human evolution". What "evolution"? It's the result of intended influence from outside. And how did the monolith know they would have effective equipment working at exactly the right moment for its single radio transmission to, in the movie, Jupiter? This is still an utterly incredible movie which has aged very well.